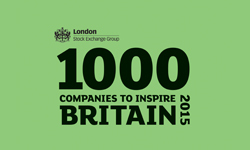 Birchall Blackburn Law has been recognised as one of London Stock Exchange’s 1000 Companies to Inspire Britain. The report is a celebration of the UK’s fastest-growing and most dynamic businesses. The firm gained placement on the exemplary list of businesses by demonstrating consistent revenue growth. Birchall Blackburn Law has achieved an increase in turnover of 33 per cent over a three year period and has seen its head count pass the 300 employee mark. It aims to create a further 65 jobs by 2018. The main areas of growth fall within its residential property teams, specialist serious and catastrophic injury department and also its elderly client portfolio. The report, supported by Lloyds Banking Group, Business Growth Fund and Cenkos Securities, paints a vibrant picture of how business is booming across the UK. For the first time, 75 per cent of those included in the list are headquartered outside London, demonstrating how businesses in areas such as the North West have assisted in leading local economies out of the recession. Xavier Rolet, Chief Executive, London Stock Exchange Group said: “This report is a significant part of our broader campaign to support UK high growth companies in their journeys from start-up to stardom and to create an entrepreneurship revolution. Over recent years the legal industry has undergone a raft of changes including the introduction of the Legal Services Act which allows non law firms to provide legal services. 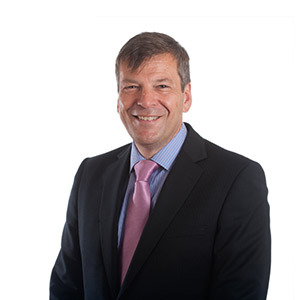 Partner at Birchall Blackburn Law, Michael Foxford, commented: “Law has become a competitive sector but instead of sitting back, we invested in providing specialist consumer-facing legal services. “Our growth ambitions were achieved by embarking on a rigorous recruitment programme to appoint the very best local legal talent, developing some of our key departments and also investing in a major re-branding exercise. This aimed to offer more people better access to expert advice in their local communities.